With continuing tensions and protests going on in Egypt right now it seems strange to think that on this day in 1889, the Chicago White Stockings (who became the Cubs officially in 1907) played a baseball game at the foot of the great pyramids in Egypt. The associated photos are some of the most famous from what started out as Spalding’s Australian Baseball Tour and became a world tour while in progress. Sporting goods magnet and White Stockings owner, Albert Spalding, devised the trip to promote the great American sport of baseball to the world. The tour featured a team of baseball’s best (the All-Americans) vs Spalding’s White Stockings and started in October of 1888 finishing in April of 1989. The whole journey is detailed in an engrossing book by Mark Lamster called “Spalding’s World Tour”. 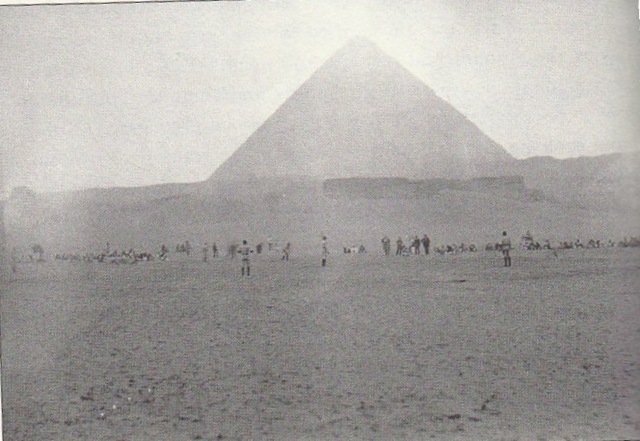 The game on February 9, 1889, was won by the All-Americans 10-6 (5 innings) after what was said to be a very uncomfortable camel and donkey ride from Cairo to the pyramids. 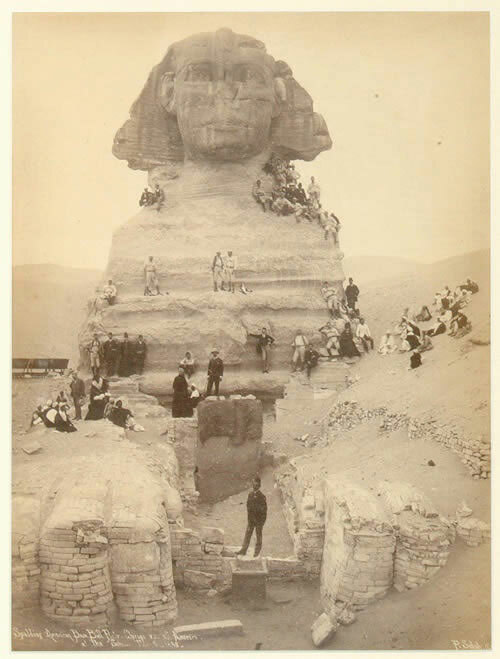 The Americans displaying some of the brashness that helped create the stereotype of the “ugly American” tourist abroad, attempting to throw a baseball over the 451 foot high Cheops pyramid (none could), followed by baseball tossing target practice at the Sphinx’s right eye (James Fogarty hit it). The baseball tourists, as they were called, moved on from Egypt to Europe and played the next game in Naples Italy. Albert Spalding’s dream of making baseball the preeminent world sport may never have quite come to fruition, but, Major League baseball’s staying power is evident. While the 45th Super Bowl was just completed, baseball has played over 100 World Series and began as a league nearly 50 years before the NFL was created. It’s amazing to think that on this date 126 years ago, the team that is the Cubs played baseball in such a sublime setting. The current Cubs will also soon be playing baseball in the desert as pitchers and catchers report to AZ in only a few short days. If Spalding were around today, I think he would be pleased to see that baseball is still a proud part of the American sporting tradition.